Are Canada's fish laws adding to mislabelling confusion? Studies have found about 40 per cent of the fish you buy is mislabeled, and DNA sequencing of fish CTV purchased and tested supports that number. So why is this happening and what can be done to fix it? Turns out Canada's current fish labelling laws may be contributing to the confusion. 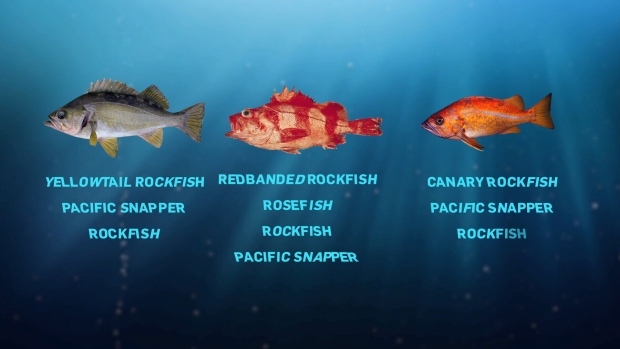 Under Canada’s fish labelling laws, multiple names can be used for several species in many cases, and suppliers and retailers need to know which are correct. For example, can you pick the correct name underneath each of the three fish in the photo above? The correct answer is they’re all allowed. When CTV did DNA testing on 10 samples of fish we found four out of 10 were mislabelled. “It’s a small sample, but it was 40 per cent of your sample. That puts you right in line with other Canadian studies,” said Julia Levin with non-profit advocacy group Oceana Canada. When we received the results of the sushi tested, it was discovered that tilapia was being called snapper or red snapper. 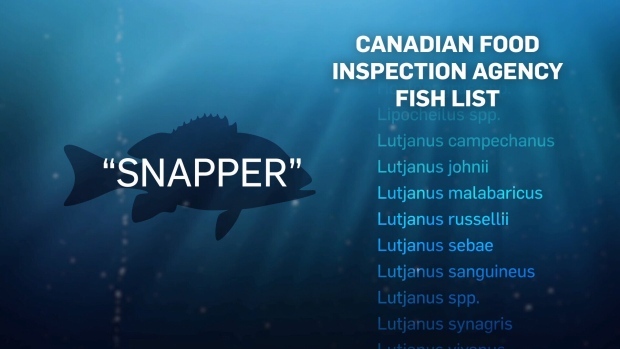 Click the image below to view all of the Canadian Food Inspection Agency's accepted names for "snapper." Even among restaurants like Cactus Club, CTV’s testing revealed Baja cod tacos on its menu were actually lingcod, a distinct and different species. According to Oceana, cod is mislabelled 25 per cent of the time. The grey cod we tested from 7 Seas Seafood Market, under labelling requirements can also be called Pacific cod, or true cod, but the results showed it was Atlantic cod from totally different waters. Scroll down or click here for detailed results of the testing. “Even our manager of the store did not know that Icelandic cod was not grey cod,” said George Heras, owner of 7 Seas. It was human error, not to deceive, because the fish from Iceland is actually a higher quality fish. Oceana recommends that the species specific name accompany seafood from the water to the dinner plate. One name for one fish. 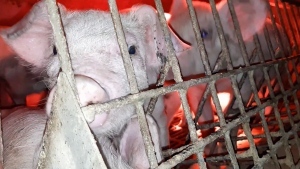 “It’s time for Canada to implement requirements here,” said Levin. “It’s going to take some time for us to figure out what is the best solution that scientifically represents propertly the fish supply, but at the same time that speaks well to consumers,” said Aline Dimitri, CFIA executive director. “That is a very safe way to do it,” agreed Heras, “You see the Latin name, someone could google it on their phone they could find out what that is, make sure it is what they think it is." New safety regulations just came out last week from the CFIA, but Oceana Canada says they fell short of regulations in Europe and the U.S. in vigorously, tracing fish from the boat to the plate. Click the table to view a larger version of our DNA test results. Check out the results of our sushi testing here. Viewing this article on a cellphone? Tap here for a resized version of the PDF. CTV News series: Something Fishy? Fish mislabelling: Are consumers deliberately being misled or is something else going on?